SEOUL (Yonhap) -- South Korean President Park Geun-hye said on June 20 she will stick to principles in dealing with North Korea in order to transform relations with the socialist nation in a way that is in line with "common sense and international standards." "South-North relations are at a very important juncture right now. How we do at this point would affect not only the fate of the Korean Peninsula, but also those of Northeast Asia and the world," Park said during a meeting with members of the National Unification Advisory Council. "I believe we should break the vicious cycle of provocations and rewards ... and lay the foundation for genuine peace and prosperity on the Korean Peninsula based on consistent principles and trust. For this, we have to build inter-Korean relations in which common sense and international standards work." Park also said she will deal sternly with North Korean provocations, but is still willing to actively help the impoverished nation if Pyongyang pursues denuclearization and co-prosperity and is willing to become a responsible member of the international community. Conservatives in South Korea have long complained that common sense and international standards are not working with the North, with the unpredictable regime repeatedly breaking the promises and commitments it had made in exchange for economic and other concessions. They have accused previous liberal administrations of pampering Pyongyang with unconditional aid and little punishment for provocations or broken promises, demanding that relations with the North be treated like those with any other country. Relations between the two Koreas had been very tense for months earlier this year as North Korea churned out near-daily war threats against South Korea and the United States after conducting a long-range rocket launch in December and its third nuclear test in February. In an abrupt about-face, however, Pyongyang made a surprise dialogue proposal earlier this month. South Korea accepted the offer and the two sides had agreed to hold their first high-level talks in six years last week, but the agreement unraveled at the last minute due to a dispute over the levels of chief delegates. Officials said Pyongyang insisted on sending a lower-level official while demanding the South send a Cabinet minister to the talks. South Korea rejected the North's demand, saying that it's in violation of its principles and international standards. SEOUL (Yonhap) -- South Korea on June 20 raised the bar on conditions for resuming stalled nuclear talks with North Korea, saying Pyongyang must show its sincerity through more pledges than those it had agreed to in a scuttled aid-for-disarmament deal with the U.S. more than a year ago. Seoul's foreign ministry spokesman Cho Tai-young made the remarks a day after North Korea's top nuclear envoy Kim Kye-gwan held a "strategic dialogue" with senior Chinese officials in Beijing, with Kim reportedly saying Pyongyang's willingness to resolve its nuclear issues through dialogue. In February last year, North Korea and the U.S. announced a deal in which Pyongyang had agreed to stop nuclear activities at its main facility in Yongbyon, impose a moratorium on nuclear tests and long-range missile tests, and invite back international nuclear inspectors in exchange for 240,000 tons of food aid from Washington. However, the deal, which could lead to the resumption of the long-stalled six-party talks aimed at ending the North's nuclear ambitions, quickly fell apart weeks after North Korea launched a long-range rocket, casting strong doubts over the North's seriousness for talks with both Washington and Seoul. "For meaningful talks with North Korea to be convened, the North must show its sincerity through actions, not words," the ministry spokesman Cho said. Asked about what specific actions North Korea must take if the talks resume, Cho replied, "The Feb. 29 agreement explicitly shows what actions North Korea should take. In addition to those actions, North Korea should show its sincerity." He was referring to the scuttled deal with the U.S.
Ministry officials, who spoke on the condition of anonymity, listed a public declaration by North Korea that it would give up its nuclear weapons program as another precondition for talks. Still, North Korea has not shown any indication of doing so. Instead, it has declared that its nuclear program is non-negotiable and continues to expand its nuclear arsenal. In Washington on June 19, South Korea's top nuclear envoy also laid out tougher conditions for any talks with North Korea, saying Pyongyang must meet "stronger requirements" than the Feb. 29 deal with the U.S.
After holding a trilateral meeting with his American and Japanese counterparts -- Glyn Davies and Shinsuke Sugiyama -- Cho Tae-yong, Seoul's chief envoy to the six-party talks, told South Korean journalists, "Stronger requirements should be imposed (on North Korea) than the Feb. 29 agreement between North Korea and the United States." After months of provocations, including the February nuclear test and bellicose threats against South Korea and the U.S., North Korea has appeared to shift to dialogue in recent weeks. SEOUL (Yonhap) -- North Korea showed no sincerity in its offer to hold high-level talks with South Korea, keeps on bolstering its nuclear and missile capabilities, and could launch provocations depending on the situation, a top presidential security official said on June 21. "After constantly escalating tensions, North Korea had appeared to be making a dialogue offensive," Kim Jang-soo, the chief of national security at the presidential office, said during a report to the National Assembly. "But (the North) was not sincere as it unilaterally called off talks over the issue of chief delegates and shifted responsibility." Early in June, North Korea made a surprise offer to hold high-level talks with South Korea, an abrupt about-face by a regime that had made near-daily war threats against Seoul and Washington while spurning repeated demands for talks to defuse tensions. South Korea accepted the proposal and the two sides agreed to hold two days of meetings. But the agreement unraveled at the last minute as the sides failed to find a compromise over the level of chief delegates. Officials said Pyongyang insisted on sending a lower-level official while demanding the South send a Cabinet minister to the talks. Kim also said that the North is bolstering its nuclear and missile capabilities. "Depending on situational changes, we cannot rule out the possibility of provocations," he said. The official also said that South Korea will work closely with other countries to resolve the North Korean nuclear standoff. In particular, Seoul plans to strengthen cooperation with China to denuclearize the North, he said. Park plans to make a state visit to China next week for talks with Chinese President Xi Jinping. SEOUL (Yonhap) -- South Korea's government said on June 21 that despite the cancellation of high-level talks to tackle larger outstanding issues, it still considers the proposal for discussions with North Korea to resolve the Kaesong complex as being valid. 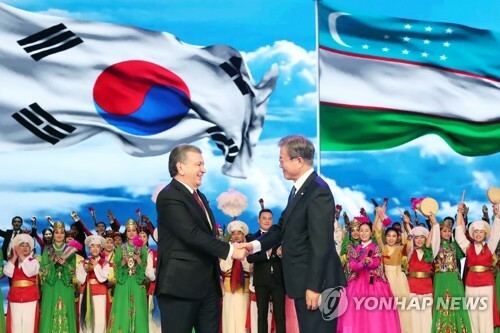 The stance expressed by a Ministry of Unification official highlights Seoul's resolve to engage the North in a "trust building" process that could permit meaningful dialogue to take place in the long run. The complex located just north of the demilitarized zone, halted operations on April 9 after the North ordered all of its 53,000 laborers not to report to work citing provocations by the South. Seoul in turn pulled all of its own people from the complex early last month severing the last economic link between the two sides. "The working-level talks proposal remains open and it is our wish that the North accept the offer of dialogue," the official said on the conditions of anonymity. Seoul has persistently called for working-level talks to deal with pressing issues such as the return of finish products and materials needed to make goods that were all left behind at the complex. The official, however, said that his remarks did not constitute a move by Seoul to officially call for fresh talks with the socialist country. The remarks come after representatives from the 123 companies with factories in Kaesong issued an appeal asking authorities in Seoul and Pyongyang to start talks as soon as possible so operations can resume. They also asked for permission for engineers to visit the complex to inspect production machinery and other facilities. They said that if no action is taken by July 3, they will take "serious steps" to prod all sides to find a middle ground. The representatives did not elaborate on what actions will be taken. SEOUL (Yonhap) -- More than half of South Koreans want their government to take action to resume dialogue with North Korea despite the last-minute cancellation of high-level talks last week, a poll showed on June 21. According to the poll on 1,000 South Koreans by the Asan Institute for Policy Studies, 53.4 percent said Seoul must take active steps to engage Pyongyang. The nationwide survey showed that 36 percent said there is no need for the government to try and talk with the socialist country. The four-day survey starting June 16 took place five days after high-level inter-Korean talks, meant to ease tensions on the peninsula, fell through over a disagreement on the ranks of the chief negotiators from each side. The talks would have been the first senior-level meeting between the two Koreas in six years and would have touched on matters such as the resumption of operations of the suspended Kaesong industrial complex, Mount Kumgang tours and reunions of families separated by the 1950-53 Korean War. "The poll may reflect a wish by the public to stabilize cross-border relations that have hit a low ebb in the past couple of months," an analyst at the institute said. The findings, meanwhile, showed that 48.4 percent of the respondents believed the North was at fault for the aborted high-level talks, with 40.2 percent saying both Koreas were in the wrong. It said there was a clear divide in who was mainly to blame for the talks falling through; people in their 50s and 60s clearly pointed fingers at the North, while those in their 20s and 30s said both sides made a mistake, allowing the dispute over ranks to prevent the talks from going forward. SEOUL (Yonhap) -- Trade between South and North Korea came to virtually zero in May after inter-Korean tensions led to the shutdown of the Kaesong Industrial Complex seen as the last symbol of bilateral economic cooperation, the government said on June 24. The volume of inter-Korean trade reached only US$320,000 in May, which accounts for just over 1 percent of the $23.4 million recorded in April, according to the Unification Ministry, which handles inter-Korean affairs. The majority of the May trade represents electricity costs the South spent to maintain the plant facilities in the factory park in the North Korean border city of Kaesong, according to the ministry. The South exported about $260,000 worth of electricity while importing $60,000 worth of periodicals from the North in June, the ministry said. Inter-Korean exchange came to an abrupt halt in mid-April as the North withdrew North Korean workers employed by South Korean firms in the Kaesong industrial zone in protest against South Korea's joint military drills with the U.S. in March. The joint factory park made up almost all of the inter-Korean trade as chilly relations cut off other exchanges. The number of cross-border trips permitted during May came to only seven, the ministry said, adding that they were the last batch of the seven South Korean workers who returned to the South after the closing of the Kaesong complex. As inter-Korean relations remain frosty, the hiatus in inter-Korean trade is expected to continue, analysts said.